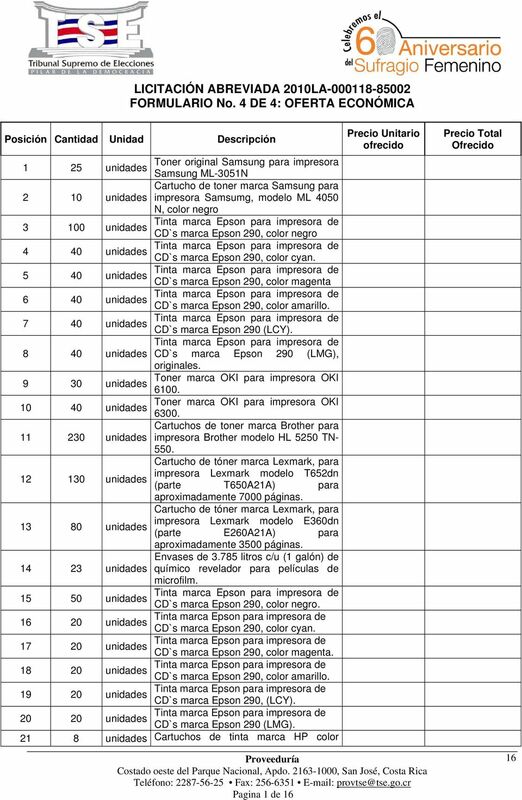 Download "LICITACIÓN ABREVIADA No. 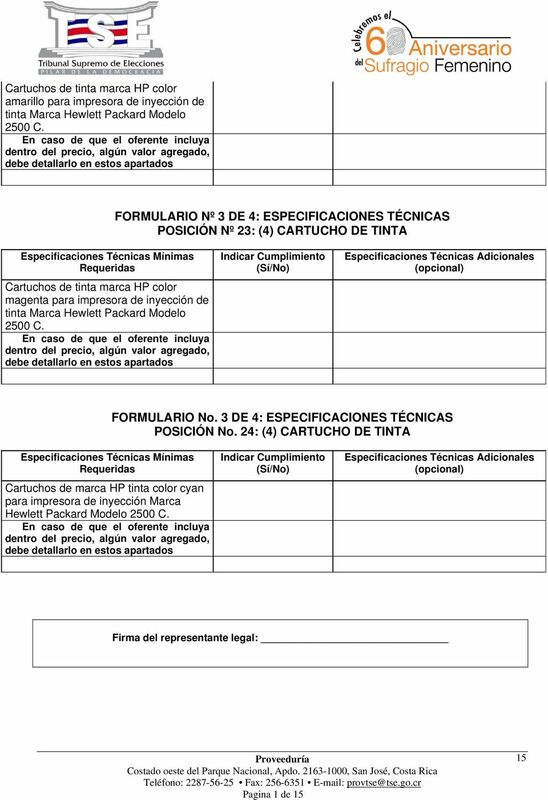 2010LA-000118-85002 COMPRA DE TÓNERS, CARTUCHOS DE TINTA Y REVELADOR CAPÍTULO I : OBJETO DE LA CONTRATACIÓN"
LICITACIÓN ABREVIADA No. 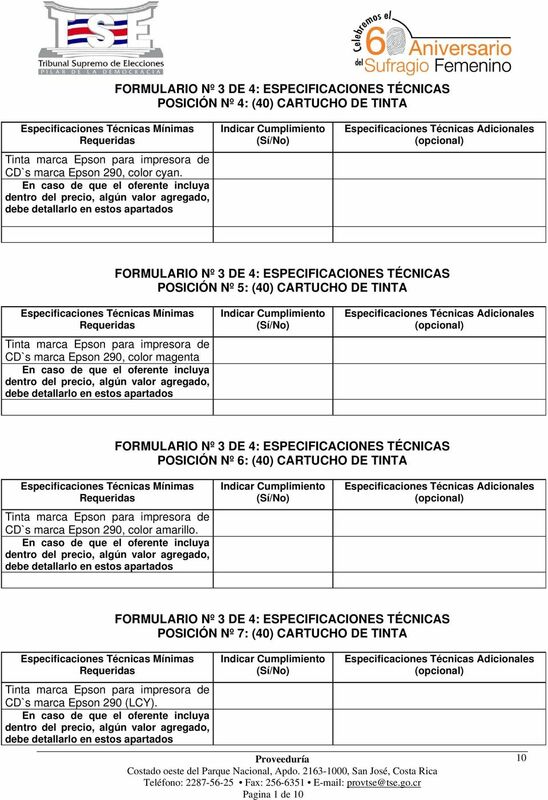 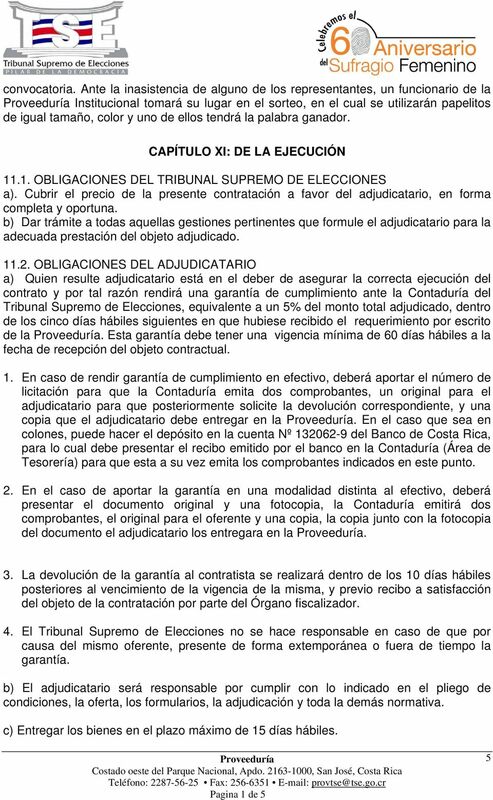 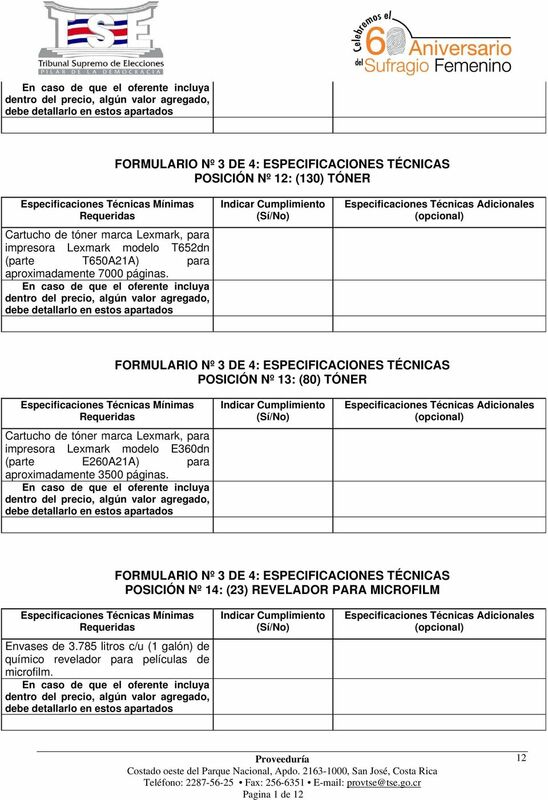 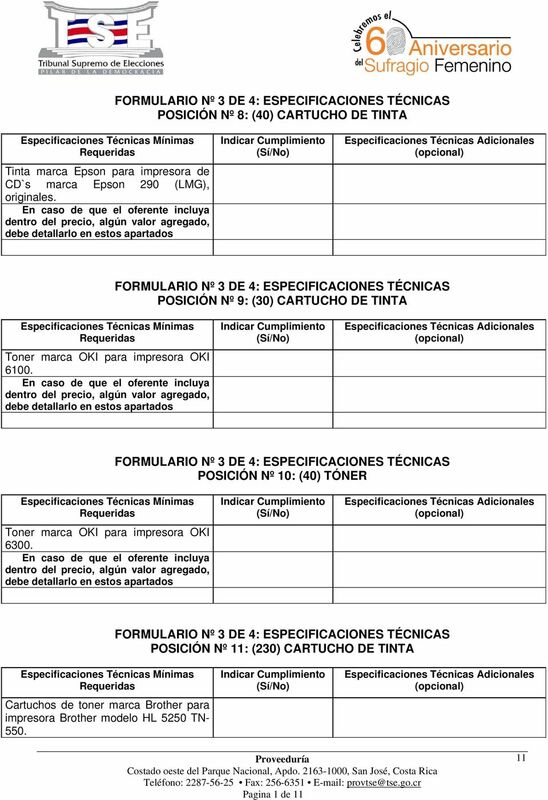 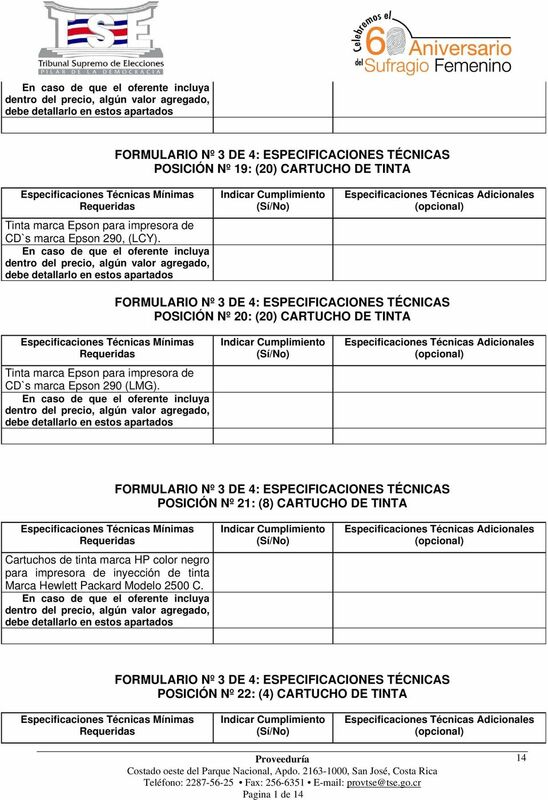 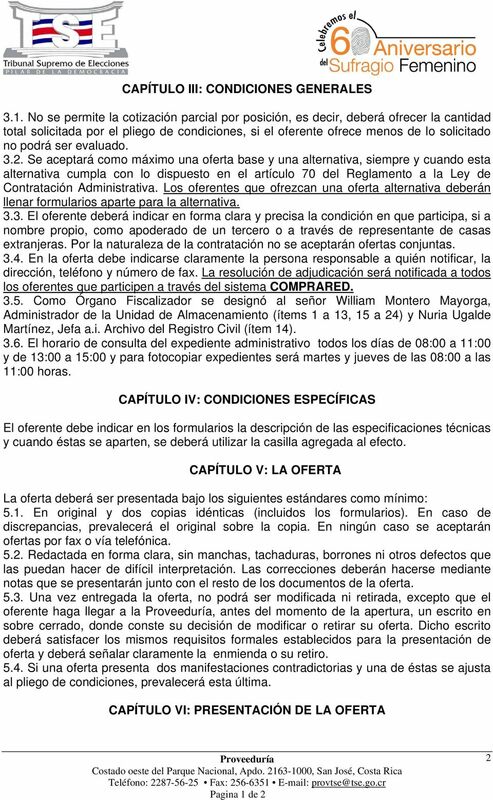 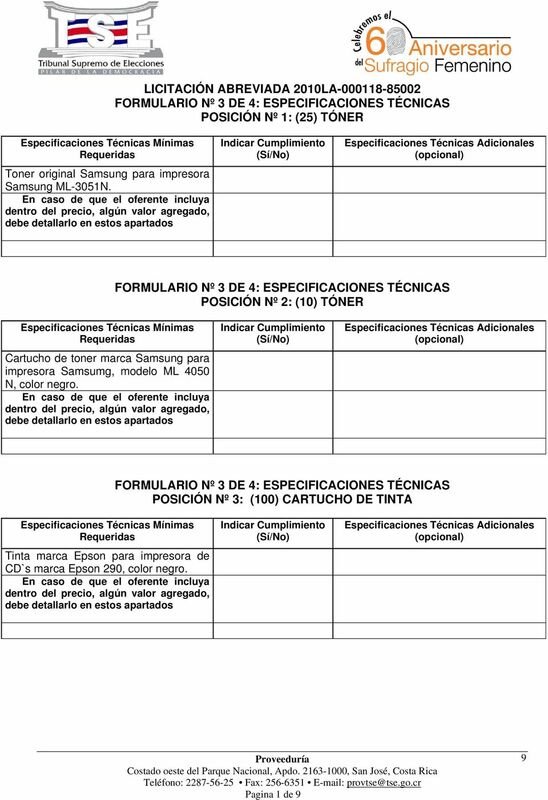 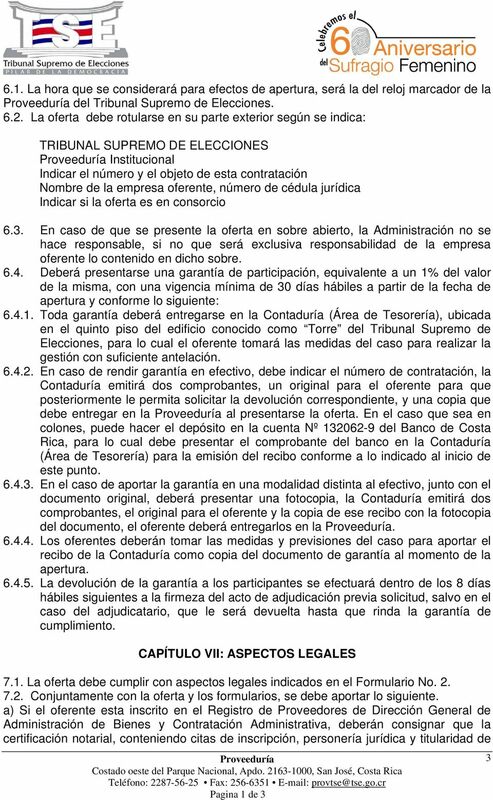 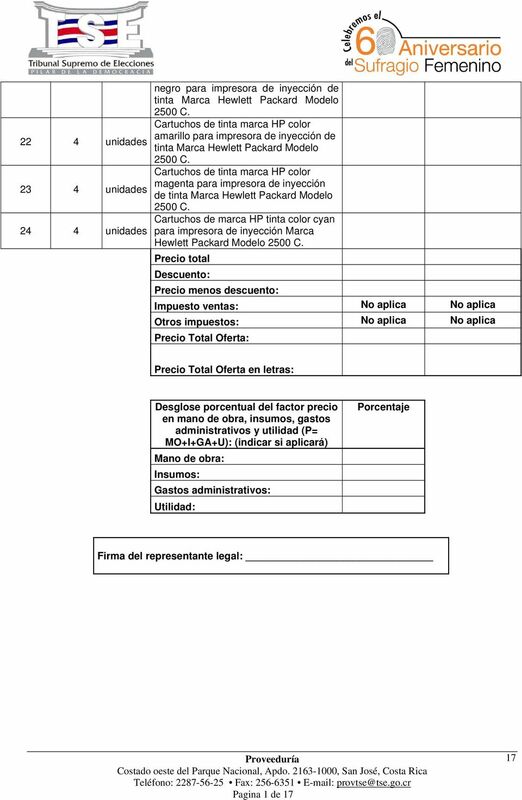 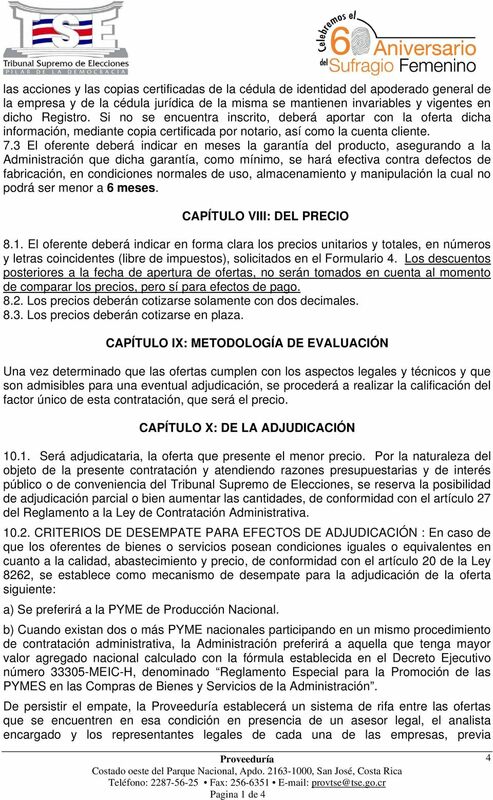 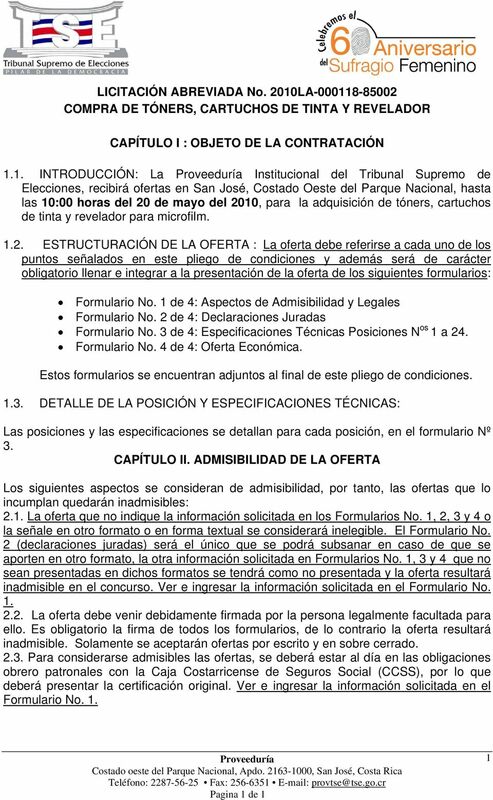 2015LA-000024-85002 "COMPRA ACCESORIOS - REPUESTOS PARA XEROX PHASER 7760DN, KÓNICA MINOLTA Y TÓNER PARA IMPRESORAS"
"COMPRA DE DISPOSITIVOS DE ALMACENAMIENTO Y TOKENS"
TRIBUNAL SUPREMO DE ELECCIONES. 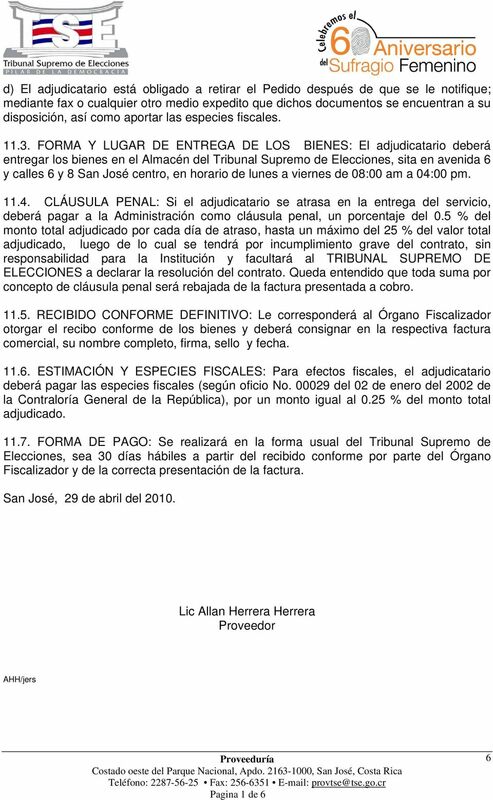 Teléfono 2287-5625 Fax: 2256-6351 Email: provtse@tse.go.cr. 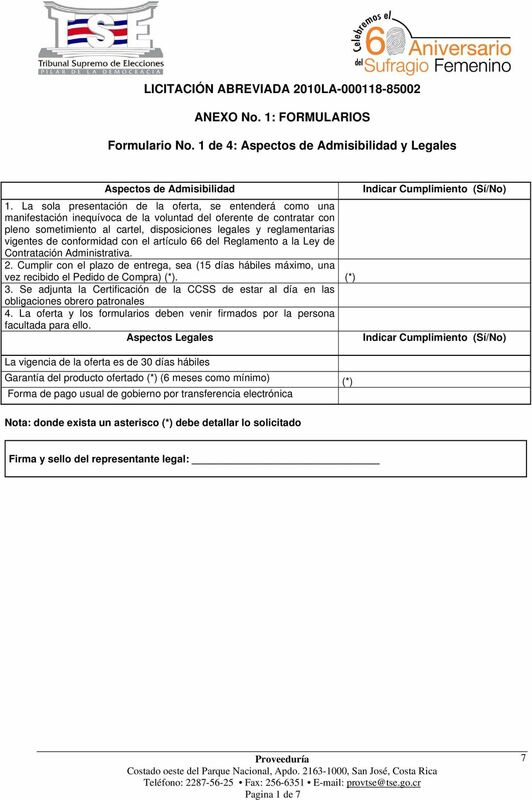 LICITACIÓN ABREVIADA 2012LA-000396-85002 "ALQUILER E INSTALACIÓN DE GPS EN LA FLOTILLA VEHICULAR DEL TSE"
PLIEGO DE CONDICIONES PARA EQUIPO MEDICO, SANITARIO, HOSPITALARIO E INSTRUMENTAL HOSPITAL SAN FRANCISCO. 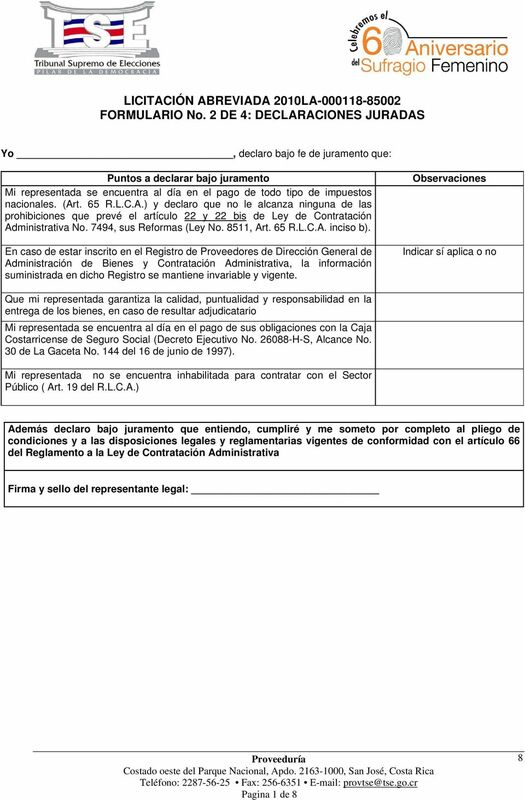 Juticalpa, Olancho Julio del 2015.